You might be thinking that taking a supplement is only for bodybuilders who are looking to bulk up. Supplements containing Branched Chain Amino Acids (BCAAs) are ideal for toning, improving recovery, and even losing weight by increasing caloric expenditure and allowing your body to take more energy from burning fat. For this reason, they are becoming increasingly popular amongst women who are aiming to lose weight, tone up, increase their endurance and generally improve their workouts. If you are interested in building strength and endurance, boosting your immune system functioning and working out to lose weight, then these BCAAs could be the best supplement option for you. Here are the five best BCAA supplements for women. What Are The Benefits Of Taking BCAA Supplements? Which One is the Best Option For Me? This is a great BCAA powder designed specifically for fit females. It contains the three key BCAAs for your body’s needs–leucine, valine and isoleucine–at a ratio of 3:2:1. This unique mix of BCAAs is perfect for muscle protein synthesis, muscle repair and increasing metabolism, which means that this product is the best for building a more toned physique. If you are worried about bulking up from using a powder alongside your workout then there is no need to threat. The blend of BCAAs in this powder is designed to build lean muscle mass. It allows your muscles to repair more quickly and prevents muscle soreness after exercise meaning that you can work out more often, build lean muscles and, in turn, increase your metabolism. With this increased metabolism and the appetite curbing ingredients in this product, you will be able to tone up whilst still losing weight. The Strawberry Margarita flavour is popular amongst customers and the powder combines well with water to make a smooth and refreshing pre- or post-workout drink. However, this product does contain artificial sweeteners such as sucr​​alose and artificial flavourings which, although they might improve the taste of the powder, could have potential side effects. This supplement also has one of the lowest amounts of BCAA at just 2 grams per serving which could be a positive if you are new to using BCAAs, but you might be looking for more per serving. 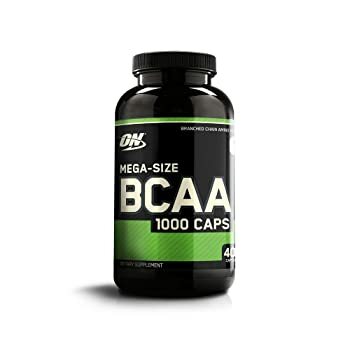 As suggested by the name, this supplement is one of the best BCAAs for fat loss as it is specifically designed to build lean muscle whilst also allowing you to lose weight. Another reason why this powder aids weight loss is that it contains no added sugar, carbs, or calories so you can stick to a calorie restrictive diet whilst still replenishing the energy you need to hit those workout goals. This 2:1:1 ratio blend contains 2-parts leucine, 1-part isoleucine and 1-part valine, which is ideal for protein synthesis and building a toned physique. With 5g of BCAA per serving, this powder is not too strong and can be taken before during or after your workout. To aid fat loss, the mix includes citrulline and glutamine. Glutamine is essential for normal bodily processes and aids muscle recovery whilst citrulline increases circulation, aiding your body to absorb nutrients more quickly. The supplement further induces weight loss by curbing your appetite and speeding up your metabolism. This means that you won’t feel like grabbing a snack straight after your workout and when you do eat, your increased metabolism will allow you to burn calories more quickly. It also contains magnesium which has a number of health benefits including stress reduction and gives you an extra boost in energy. Like other BCAAs, IdealLean helps with recovery so that you can workout more regularly without the feeling of muscle soreness or fatigue. Flavours include Green Apple, Orange Paradise, Grape Explosion and Blueberry Pomegranate, but these do contain artificial sweeteners such as sucralose. Furthermore, the mix contains coconut water which is ideal for rehydration during your workout. 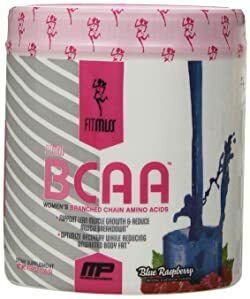 This supplement is one of the best BCAAs for women as it is specifically designed to aid the female body. It includes a range of different amino acids and ingredients which work together to give you energy and improve muscle growth. These include taurine, beta alanine, glutamine, citrulline, and the essential branch chain amino acids leucine, isoleucine and valine. 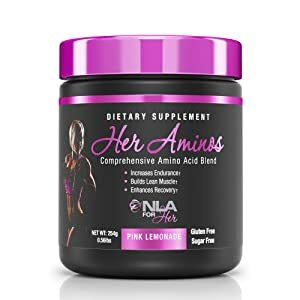 This BCAA supplement is the best for ladies who are looking for a powder which gets to work quickly as the mixture is easy for your body to absorb. If you are always in a rush to fit in a workout, this could be the best BCAA supplement for you as you will start to feel the benefits of increased energy quickly. The fast absorption also means that you can take it during your workout for that added boost. Like other supplements, the BCAAs included here boost muscle growth and recovery so that you can keep up with your workouts. They also help to avoid injury and increase your metabolism which leads to greater endurance and faster results. You’ll get 5.875 grams of BCAAs per serving with this product which is a decent quantity without being too overpowering. Although the range of amino acids increase performance, this product also includes artificial flavours and sweeteners such as sucralose which might be a downside for some people. There have also been some complaints about the taste of the flavours and upset stomachs from some customers so this might be one to avoid if you are sensitive to artificial flavours. This supplement comes in the form of a capsule, which can be good or bad depending on your preference for taking supplements. It is not specifically designed for the ladies and so it provides benefits for both men and women such as promoting lean muscle mass, reducing body fat, increasing metabolism, improving endurance and speeding up recovery. 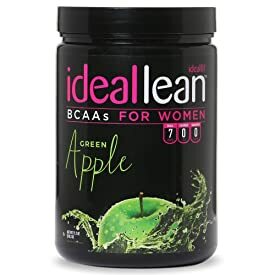 Although this product is not focused on female athletes, it provides many benefits that a lot of women are looking for in their BCAA supplements. As this supplement is a capsule it does not come in flavours like the powder options. This also means that it does not contain artificial sweeteners or sugar and can be taken quickly and easily with a glass of water either before or after your workout. There are also much more servings per container in capsules than powder making this the best BCAA supplement if you are looking for value for your money. However, the amount of BCAA per serving is relatively low so you might find you’ll have to take more capsules to meet your desired quantity. If you take several of these capsules per day, you will have to do so at regular intervals between food as advised on the packaging. Some might find that this ends up being more hassle than taking a pre-workout drink that contains all the BCAAs you need in one serving. The capsules contain leucine, valine, and isoleucine in a ratio of 2:1:1 which is ideal for protein synthesis and promoting muscle growth as well as aiding recovery. Apart from the BCAAs, the capsule contains cellulose, magnesium, stearate and gelatin which may be a disadvantage for strict vegetarians. This powder is the best BCAA for women who are looking for a slim and toned physique. 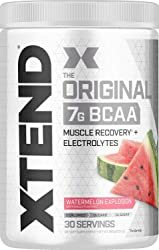 It contains essential BCAAs including leucine, isoleucine, valine and glutamine which limit muscle breakdown, improve recovery and reduce muscle fatigue after a workout. Each serving contains 5g of these essential BCAAs which is a decent amount, but each container contains only 20 servings, making this one of the more expensive options. Furthermore, it contains Ashwagandha which reduces stress and natural ingredients which make it vegan friendly. If you are looking for something which is more natural and improves your physical and mental wellbeing, this is the best BCAA for you. It is also caffeine free which is ideal for anyone who is sensitive to stimulants. For that slim and toned physique, the powder encourages lean muscle growth by using the blend of BCAAs to increase metabolic rate. It also contains Satiereal which suppresses the appetite and aids with weight loss by preventing that after workout hunger. 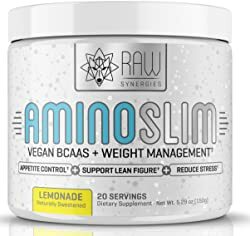 If you are looking for a natural option for taking BCAAs which will help you achieve that perfect lean and toned figure, Raw Synergies Amino Slim is a great option. This supplement is one of the best BCAA supplements for females which contains leucine, valine and isoleucine at a ratio of 1:1:1. What is great about this powder is that it also includes L-glutamine which helps with muscle recovery and aids essential processes in the body. In addition, it contains Citrulline Malate for circulatory health. Alongside these essential BCAAs, the powder contains electrolytes and vitamin B which increase energy and keep you hydrated throughout your workout. This gives you the energy and muscle repair to get into shape and makes it the best BCAA supplement for hydration and energy. If you are looking for something to give your workouts that added boost as well as all the benefits of BCAAs this could be the option for you. Per serving, you will consume 7 grams of BCAAs which means this supplement has a higher amount per serving than some of the other products listed here, giving you more of the benefits provided by BCAAs including greater muscle growth and faster recovery. What’s more, the mix contains no calories, carbs or sugars, making it ideal if you are looking to maintain a caloric restriction whilst taking supplements to provide essential energy and achieve your full potential in your workout. It also comes in 18 different flavours so you have a variety to choose from, however, it does contain artificial sweeteners, dyes and colourants. Branched Chain Amino Acids are leucine, isoleucine, and valine. They are not produced by the body and are found in protein-rich foods. Yet, they are essential for protein synthesis, which allows your body to preserve glycogen stores and fuel your muscles while you exercise. If you are not getting enough of these foods, then a supplement can help you to replenish your intake of BCAAs. Leucine stimulates muscle synthesis and stops your muscles from wasting energy. By encouraging your body to use energy from protein, this dietary amino acid helps your body to maintain lean muscle mass whilst you lose weight. It also stimulates muscle growth so you can work towards your optimum physique. Isoleucine is used in the biosynthesis of proteins. It stabilizes blood sugar and energy levels which give you the energy you need throughout your workout. This is achieved by increasing glucose uptake and usage throughout your workout, allowing more glucose from your food to enter your muscle cells. Finally, valine helps with increasing metabolism and muscle repair. By providing energy for your muscle tissue, valine increases your recovery rate and reduces muscle soreness, helping you to keep on top of your workouts. You can take these supplements before, during, or after exercise. If you are looking for an extra boost during your workout, take them before. If you are more concerned with muscle recovery then take a serving after your workout. Typically, it is safe to take between 5-10 grams per day–all of the products included above contain between 2-7 grams per serving. The different ratios of each of the essential amino acids in these products will have different effects depending on your body. There is no huge difference in the effect of BCAAs depending on these ratios but you might want to try more than one blend to see which works best for you. There are many benefits to taking BCAAs as part of your diet regimen. The reason that they are taken as part of a pre-workout supplement is that one of these benefits is improved muscle growth. Leucine stimulates protein synthesis meaning that your body will use the protein it receives through food and supplements more effectively to increase muscle growth. Before, like many other women, I focused on cardio and endurance training as a way of losing weight and building a more toned physique. But now, weight training is becoming increasingly popular. The myth that women who lift weights will become bulky has been busted and weight training is no longer just a man’s game. I moved to weight training as a way of building lean muscle whilst still losing weight, improving my overall physique. They also decrease muscle soreness after exercise, which is why they are also beneficial when taken after exercise. If you often feel sore for a few days after working out then BCAAs can help by decreasing the small amount of muscle damage which occurs during exercise. They do this by decreasing the levels of creatine kinase in the body after exercise. BCAAs can also help to reduce fatigue as they encourage muscles to use energy stored in glycogen instead of breaking down protein. Furthermore, this prevents muscle from wasting muscle proteins that are broken down during exercise from being replaced. There are specific benefits for women in terms of maintaining lean muscle mass. If you are taking a break from exercise, BCAAs will minimize muscle loss and keep your metabolism high. They also help to maintain muscles if you are on a calorie restrictive diet as they lead your body to breakdown fat for energy instead of muscle. In addition, if you are concentrating on endurance training and improving your physique, taking BCAAs can enhance your workout without adding extra calories to your diet. For women restricting calories to lose weight, taking a protein shake might seem like a step in the wrong direction. This is where BCAAs come in. They allow you to build your muscle mass while keeping calories restricted and enable you to get more out of your workout, meaning that you can reach your weight loss goals more quickly and more effectively. There are also many no carb, no sugar, no calorie options when it comes to BCAA supplements for women. They can also enhance your training by increasing fat burning potential and endurance. Through increasing energy expenditure and speeding up your metabolism, BCAAs allow you to burn more fat during your workout. Furthermore, they maintain energy levels and reduce fatigue, improving your overall endurance and allowing you to get more out of your workout. If you are taking more BCAAs you can expect faster recovery, reduced fatigue & soreness, and more lean muscle growth through your workout. Some people have experienced side effects when taking a BCAA supplement, so you have to be aware of how your body responds to supplements and introduce them into your diet carefully. These side effects usually occur as a result of taking more than the recommended dosage so always stick to the recommended dosage as listed on the container’s information. Some of the side effects include fatigue and loss of coordination. Others have reported stomach problems such as nausea, vomiting, diarrhea, and bloating. Make sure you are aware of them in case you begin to experience these side effects. Each of these supplements comes with the inherent benefits of taking BCAAs. But they also have individual differences which might make one of them the best BCAA supplement for you. If you are looking to build a lean muscular physique, try FitMiss Women’s BCAA Powder. If you are more concerned with natural ingredients and reducing stress, try Raw Synergies Amino Slim. If you are specifically looking to lose weight, try something with no added calories like IdealLean. Take a look at the individual benefits of each product and try them out to see which one is the best BCAA supplement for you. Remember that everyone is different and what works for someone else might not be right for you. BCAAs can help women to optimize their training and diet in many ways. Whether you are looking to maintain lean muscle, lose weight or improve your endurance, BCAAs can make a real difference to your workout. Whether you are new to using them or are looking for something that will give you more results, there are a range of options to choose from with different levels of BCAAs. If you are just starting out, maybe try a smaller dosage to begin with and see what differences you notice. There are different ways to take these supplements depending on whether you’re looking for enhanced recovery or a boost in energy during your workout. Take them before, after or during your workout or even in capsules throughout the day to aid your recovery and restore energy. Each of these products has something to offer women, whether it is helping to curb your appetite and keep your diet on track, or maintaining lean muscle while slimming down to help you achieve that toned physique. Give these options a try and see what you think of the results!